I am here now is the first mindfulness book of its kind. It’s full of creative activities and inviting space that will inspire you to explore your world with greater curiosity, find more moments of mindfulness in everyday life and unleash your creativity along the way. The book includes an interactive introduction, over 80 creative activities, insights and instructions, and a meditation ‘field notes’ section for journaling. You will also have access to a guided meditation by world-renowned meditation teacher Tara Brach. This hands-on guide is the ultimate mindfulness field guide and companion, ideal for those new to mindfulness as well as more experienced meditators. 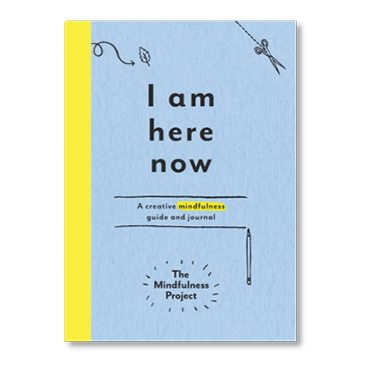 With its light and engaging approach, I am here now complements more traditional mindfulness books and makes the perfect gift for introducing mindfulness to a friend.